Eid was sombre in Khandawli on Monday, as it was across the country. In a national first, scores of Muslims across the country offered their Eid prayers while wearing a black band, a symbol of protest against the killing of the teen as well as growing atrocities against Muslims in the country, which have been increasing since Indian Prime Minister Narendra Modi took office three years ago. In September 2015, a Muslim man, Mohammad Akhlaq, was lynched in Dadri near the Indian capital, over rumours that he had killed a local cow and stored its meat in his refrigerator. The month after that, 16-year-old Zahid Rasool Bhattdied when vigilante groups attacked his truck with a bomb in Udhampur. In March 2017, suspected cattle traders Muhammed Majloom and Azad Khan were hanged in Latehar. In May, traders were thrashed in Malegaon, Maharashtra for allegedly storing beef. 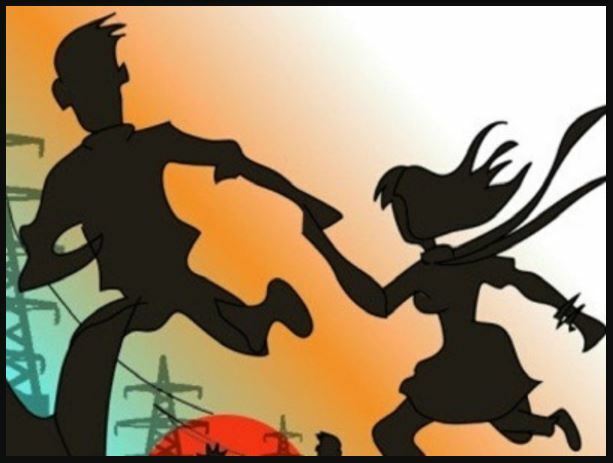 In Jharkhand in May, 19-year-old Mohammed Shalik was tied to a pole and beaten to death, reportedly over a romantic relationship with a Hindu girl. In May, two more Muslim men, Abu Hanifa and Riazuddin Ali, were killed for allegedly stealing cattle in Assam. More recently, on June 7, a Muslim man was attacked in Dhanbad, Jharkhand, on suspicion of transporting beef to an Iftar gathering. Two more cases of lynching over cow slaughter rumours were reported earlier this week in eastern India. 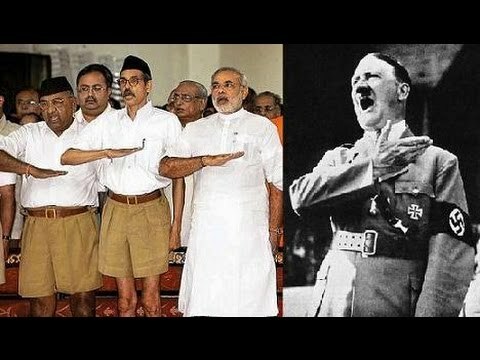 The Hindu Hitler prepares to meet party leaders. The Saffron brigade has got a bit of a shocker as the daughter of a prominent Hindutva group leader allegedly fled with a Muslim youth to get married. Miffed with an increasing number of similar cases in the district, Hindutva leaders have submitted a complaint to the country’s defence minister to act sternly against ‘love jihad’. The couple has reportedly registered their marriage in Mumbai. However, the 23-year-old girl is now back home in Mangaluru. 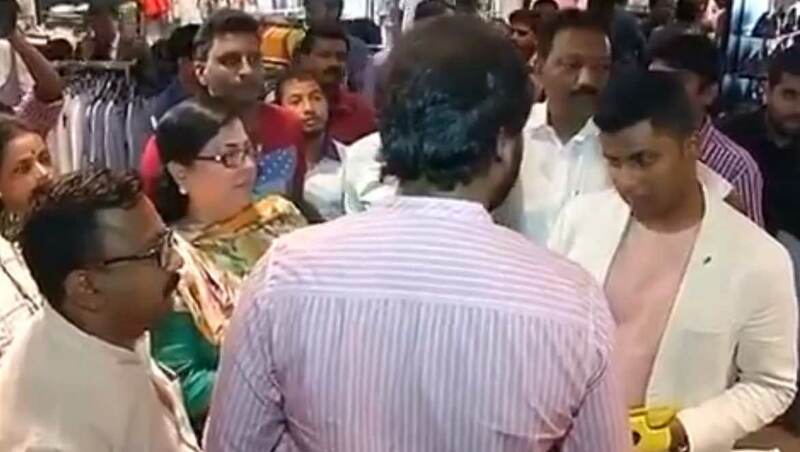 In an interesting turn of events, the man, Mohammed Eqbal Chowdary, a resident of Mankurd in Mumbai, has filed a complaint with the Mumbai Commissioner of Police that a gang, suspected to be men from the saffron brigade in Mangaluru, kidnapped his wife from Inorbit Mall in Mumbai one evening. However, the local media stated that the girl, in an affidavit which has been forwarded to the Maharashtra police, has mentioned that she has come back on her own accord. It is apparent that in the current timeline, ‘love jihad’ has become the greatest sociocultural tool available for Hindutva to spread its message of divisiveness and oppression across Indian society. Though the girl, a law student, fled five months ago, the incident has come to light only now. The Hindutva leader originally hails from Kasaragod. He has been residing with his family in the city for several years. His daughter had been studying at a private college. She came in contact with Chowdary, a technician, a few years ago through Facebook. The friendship then turned into love. Five months ago, she fled to Mumbai in order to start a new life with Chowdary. The saffron outfit members have submitted a memorandum to defence minister Nirmala Sitharaman against such cases during her recent visit to the coastal city. The incident comes to the fore on the back of a similar case wherein a 25-year-old Hindu woman fled with a Muslim youth, just a little over a day before she was supposed to enter wedlock with a man from the same community as hers. Saffron outfits have been fuming with such cases labelling all of them as cases of ‘love jihad’. The instances of interfaith marriage coming under attack by relatives often with the support of Hindutva groups are on the rise in India. The most prominent recently is the case of the 25-year-old college student, Hadiya. The Hindutva ideology pushes for a docile wife subservient to a patriarchal system. Career-oriented women are discouraged and deemed to be the opposite of good mothers and wives. In 2016, Hadiya – who was born as Akhila – converted to Islam and left her home. She married Shafin Jahan and, despite her constant reassurances that both her conversion and her marriage were the result of her free will, her father filed a complaint claiming that she was a victim of ‘love jihad’ – that she was converted so she could fight for Daesh in Syria. The marriage was annulled by the High Court in May this year and it resulted in her being confined in her parents’ house for months on end. Shafin Jahan moved the Supreme Court against the judgment. “I want my freedom,” she told judges in the Supreme Court, adding that she had spent the last 11 months in “unlawful custody”. But their marriage still hangs in the balance for the top court merely asked her to complete her education first. In a sense, the Hadiya case paved way for the narrative of ‘love jihad’ in the state to penetrate further. ‘Love jihad’ has become an integral part of the Hindutva lexicon. It refers to the marriages between Muslim men and Hindu women. Its appeal to communal sensibilities by demonizing the matrimonial relations of Muslim men and Hindu women and thus synchronizes with the communal slogan of “Hindu Khatre Mein hay” (Hindus are in danger). Hindutva fundamentalists use the threat of ‘love jihad’ as one of the many perceived perils to the Indian Hindu community. The incident comes to the fore on the back of a similar case wherein a 25-year-old Hindu woman fled with a Muslim youth. ‘Love jihad’ appeals to both communal hatreds as well as the patriarchy inbuilt in several Indian cultures. ‘Love jihad’ posits Hindu men as the protectors of Hindu women. Not only are they protecting the survival of their faith but also safeguarding their honour and family by stopping Muslims from marrying Hindus. Hindutva proclaims that a good Hindu woman is one who is subservient to her male counterpart. The Hindutva ideology pushes for a docile wife subservient to a patriarchal system. Career-oriented women are discouraged and deemed to be the opposite of good mothers and wives. This is apparent from the statement of the RSS chief that the duty of the woman is to look after her husband, failing which he can disown her and refuse to take care of her. The incident reportedly took place in Mumbai on Tuesday. 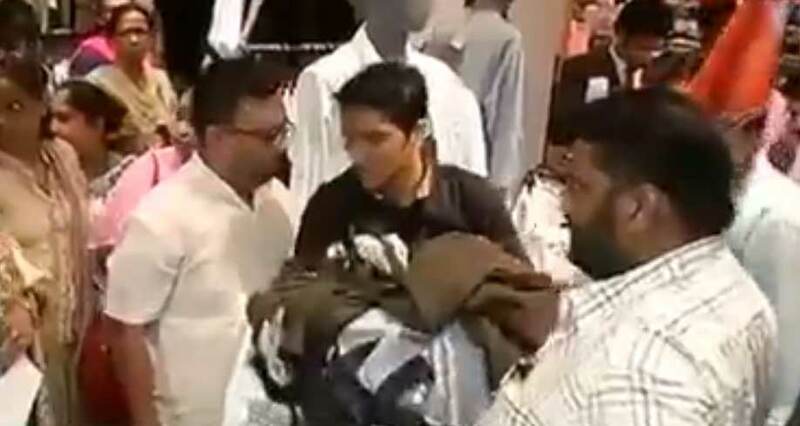 MUMBAI (Dunya News) – Indian extremists belonging to Maharashtra Navnirman Sena (MNS) stormed into fashion brand Zara’s showroom in Mumbai and threw away clothes bearing Made in Pakistan tags. “We have information about a few more stores in Mumbai that sell Pakistani goods. 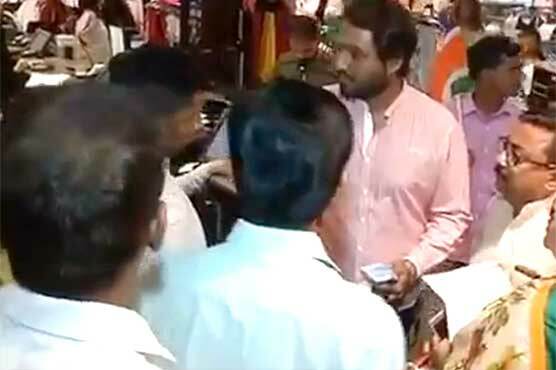 In next few days, we will target more such stores selling Pakistani goods,” said Rita Gupta, MNS’s general Secretary, adding that all the shop owners have been directed not to sell Pakistani brands. BJP leader and fashion designer Shaina NC called this action as a desperate move to grab headlines. “Some parties are trying to use the sentiments to revive their fortunes. But, whatever they have done at the Zara store is nothing, but hooliganism. No one has the right to take law into their hands,” Shaina said. After the Uri incident, MNS had threatened Pakistani artists and even went on to stop the release of Karan Johar’s Ae Dil Hai Mushkil that starred Pakistani artist Fawad Khan. Speaking to Dunya News, Foreign Office spokesperson Nafees Zakariya expressed concern over rising incidents of intolerance in India. He said there is no chance of improvement in ties due to India’s negative attitude. The spokesperson highlighted that everyone could see how India is treating its minorities.